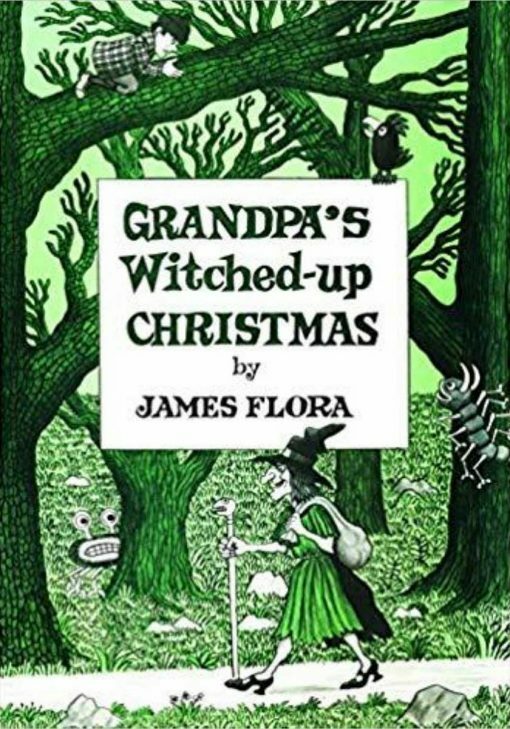 James Flora’s final children’s book picks up where Grandpa’s Ghost Stories left off; Grandpa is telling another hair-raising tale—and this time it’s about how Santa Claus saved him and grandma from becoming Christmas dinner for three horrible, no-good witches. When Grandpa was a boy, the most terrible thing happened to him the day before Christmas. While taking a shortcut through the woods, he met three fearsome witches. One, with sharp teeth and hair like an unmowed lawn, pointed her finger at him, squealed “Sha-zam!” and turned him into a snake. The second witch, who didn’t have any feet, turned him into a turkey buzzard. And the third witch-tall and warty-screamed, “Ta-pooty!” and changed him into a pig. What happens next? A twisty tale of pure imagination. 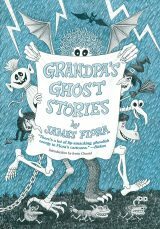 James Flora’s tall tales, including the Feral House release of Grandpa’s Ghost Stories, with his ingenious illustrations, are favorites of children and adults. Grandpa’s adventures are perfect for adventurous readers and their parents. James Flora is best known for his wild jazz, and classical album covers for Columbia Records (the late 1940s) and RCA Victor (1950s). He authored and illustrated 17 popular children’s books and flourished for decades as a magazine illustrator. Few realize, however, that Flora (1914-1998) was also a prolific fine artist with a devilish sense of humor and a flair for juxtaposing playfulness, absurdity, and violence.